The Internet of Things (IoT) is everywhere and you might have finally decided it is time to give it a go. Starting out might not be as easy as you think, as IoT is fast changing, with new features and things being added and old protocols removed from the framework. 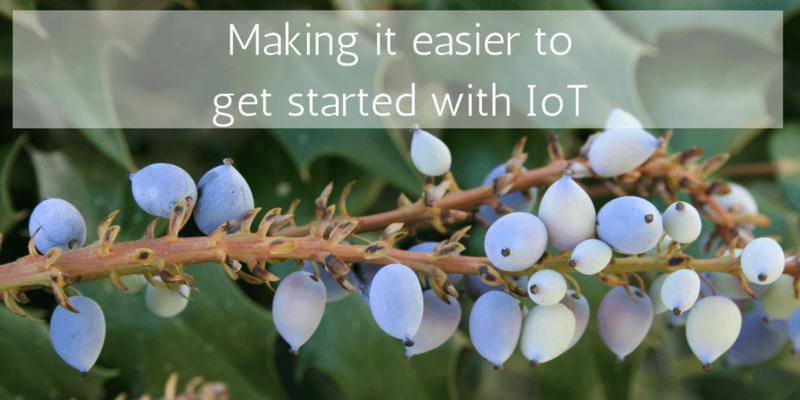 To help you out, here are a few things that make it easier to get started with IoT. Don’t try to solve your IoT problems and queries on your own. There are plenty of end-to-end tutorials available online, which can help make your programming easier. You should, of course, play around with the hardware and the solutions, but start by following instructions online and move on after that. Getting accustomed with the basic will help you step of your efforts later on – start simple and move to more complicated things later on. Aside from looking at online tutorials, you also want to get involved with the IoT community. Forums are a great way to get help to problems and find people who might be interested in testing out your prototypes. As an example, the Eclipse Foundation has plenty of interesting projects going on and the community is a rather welcoming place for everyone. You should also clarify your objectives for the project to ensure you succeed. Whether you’re a business, an entrepreneur or a private person looking to use IoT, you should still understand what you are trying to get out of IoT. Not only will this make it easier to find the right tools and hardware for your project, it can help you focus on the right aspects of IoT. You could easily spend hours learning about the industry, but not all of it is necessarily essential for your specific project. Acknowledging your existing equipment and hardware. Understand your missing, market and the problems you want to solve. Outline the things you already know and have data access to. Play to your strengths and strategy. Be aware of your specific data needs and requirements. You don’t have to go back more than a few years to find a time when having access to hardware was nearly impossible. If you wanted hardware to run IoT solutions, you needed to spend a lot of money and make room for huge equipment. Luckily, it has changed and you can find a lot of open hardware platforms for prototyping and producing. Platforms like Arduino, mbed and Raspberry Pi are worth looking into. Furthermore, if you need to buy hardware, you could save money by utilising coupon codes from OZCodes.com.au & get best deals from top hardware providers. If you want to make the most of the practice and framework, you need to get a good understanding of the IoT standards. These are slowly building up and becoming a great guide for ensuring you can create an inter-operable and efficient solution. MQTT, which is an OASIS standard implementing a publish-subscribe communication model. OMA Lightweight M2M, a standard aimed at creating a standardised format for how the smartphone behaves and acts. IETF standard, which targets constrained environments that can’t use features you’d expect to see from a normal HTTP. When it comes to IoT, just like with most technology, shortcuts are not worth it. Don’t approach IoT as a blanket solution to your problems and don’t expect it to change your system and problems overnight. The framework has great benefits, especially for businesses, but the change doesn’t occur if you opt for shortcuts or hope for a miracle. Your ventures might fail at the start and the implementation might be slow, but just keep at it and you’ll soon succeed. Finally, don’t get comfortable and only focus on the applications and technologies you already know. It can be more beneficial to look around and to start playing around with the routines you’ve in-built to your system. You want to optimise your use of power consumption and communications, for example, and the best way to do this is by looking beyond of what you know or already have in place. So be open to ideas and new ways of doing things. If the above didn’t make a lot of sense to you, it might be time to brush up on your understanding of IoT from this informative post at Surviving with Android. Once you’re accustomed with the system, just use the above tips and start being part of the revolution.